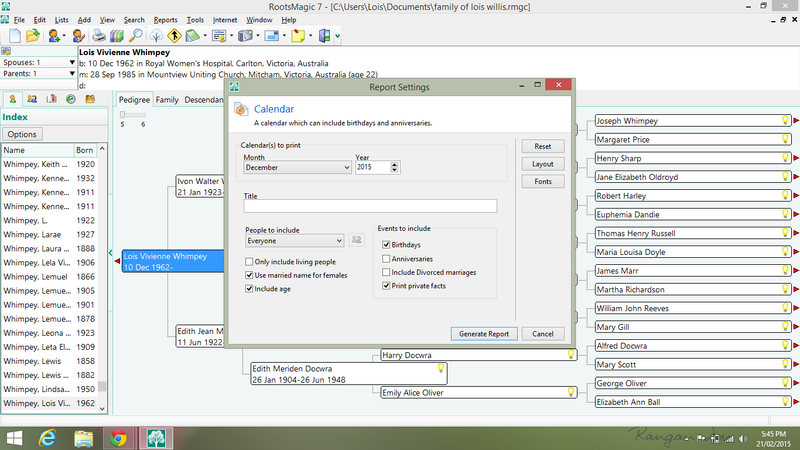 I came across a post On Randy Seaver’s Genea-Musings blog: Dear Randy: How Can I Make a Calendar in Family Tree Maker 2014? The reason behind this question was that a reader wanted to know how to find an ancestor or cousin born on his birth date. Randy then went on to describe how to make a calendar in Family Tree Maker. The steps for doing this in RootsMagic are similar. On the top menu, choose Reports, and then select Calendar. Choose the month you want to look at. You can then select People and Events to include. If you have a large number of individuals in your tree, as I have, you will find that there will be too many entries for the calendar page. The additional entries are carried forwarded onto additional pages. In order to reduce the number of entries, I decided to focus on ancestors. 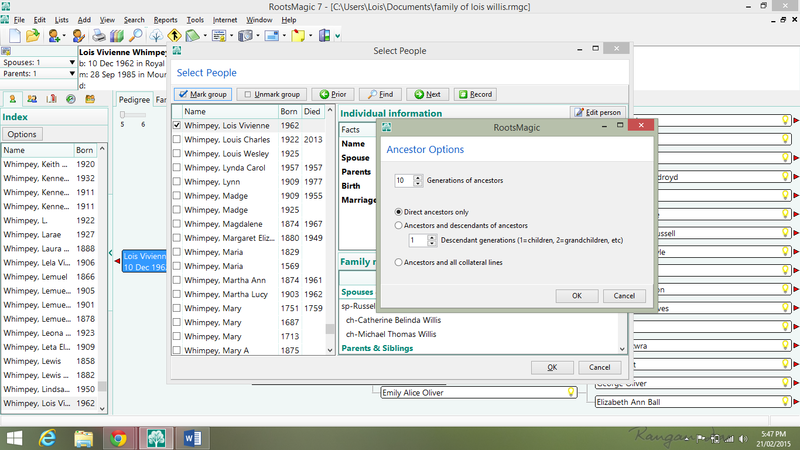 To do this I went into “People to include”, Select from list, selected my name from the list, and then chose Mark Group, and then chose Ancestors of the highlighted person, and direct ancestors only. The calendar now has a more manageable number of entries.